The Botswana government on Friday refuted allegations that the ongoing feud between President Mokgweetsi Masisi and his predecessor Ian Khama has escalated to the army. 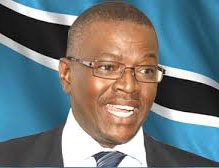 The Office of the President said in a statement that it was concerned by newspaper and social media reports that Botswana Defence Force commander Placid Segokgo has threatened to resign following some alleged comments he made to Khama regarding the current administration. Masisi’s office said contrary to the reports in the media, at no point has Segokgo expressed any intentions to resign from his appointment or made any slanderous comments in reference to Masisi’s administration and neither has he discussed the incumbent President with the former. In his maiden state of the nation address, Masisi confessed that efforts by “elders” to mediate in his feud with his predecessor did not bring the desired results. The two men are not on speaking terms after Masisi rebuffed Khama’s demands among them re-appointing some former government officials and review of the latter’s policies.